The multi award-winning director has just arrived home from filming upcoming series ‘Inhumans’ in Hawaii for Marvel. 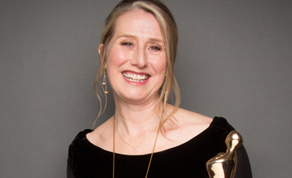 During filming, she was awarded a BAFTA for her direction of BBC’s Happy Valley. She tells us about her ever-growing inventory of international projects and upcoming work closer to home. It is clear that what captures Hardiman’s imagination most is connecting with the audience through story, be it via the grittiness of Sally Wainwright’s dialogue, the spectacle of the jazz era or the other-worldly abilities of the heroes we can only imagine. From the scale of ‘Inhumans’ to her faith in our ability to bring globally contending drama to Ireland, there’s no stopping her. IFTN: The last time we saw you, you had an IFTA Nomination for ‘Z: The Beginning of Everything’, having won the same award in 2016 for ‘Happy Valley’. Tell us a little more about the work you’ve been doing for the last couple of years. 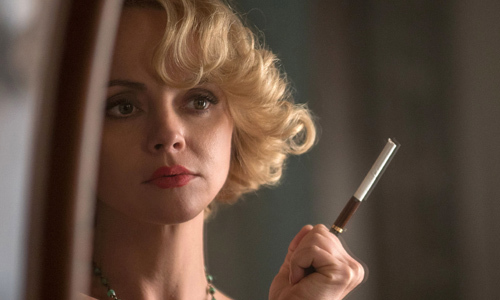 “The drama I was nominated for in 2017 was a drama for Amazon with Killer Films which was an exploration of the life of Zelda Fitzgerald, who was married to F. Scott Fitzgerald and was the first flapper. It was set in New York in 1920, where he had just published his first novel, so they’re living this glittering, modernist life. She was very extrovert, extremely bright, witty, conflicted and she had this extraordinary, big life. IFTN: You’ve got the recognisable world of ‘Happy Valley’ and then you go to the jazz era and next you’re in superhero mode. What has it been like as a director to go between three such starkly different environments in the space of only two years? “You know, it’s interesting, I remember hearing Atom Egoyan talk at BAFTA a couple of years ago. He said there are two kinds of filmmakers; there are filmmakers like Jean Renoir who try to observe and record the world as accurately as they can, and there are filmmakers like Fritz Lang who try to make a model of the world and use metaphor and parallel to say something truthful about the way we experience things. I think if I were to fall into either one of those categories, it would be the second. “I feel like all three dramas you’ve talked about, they’re all kind of in that category. ‘Happy Valley’ is a very pushed reality; it’s set in a small village that harbours two psychopaths! The dialogue is beautifully written and it has to feel quite gritty, but actually it’s a cinematic, noir world. IFTN: It’s interesting that you can get that from such different projects too. What state do you think Irish drama is in, in terms of offering those kinds of stories? “If we’re thinking specifically about making metaphor that offers a parallel to the present, for instance 1920 in Manhattan, or you’re working with characters that have abilities that are dream-like and you’re trying to articulate something emotionally truthful through that metaphor, in order to do that well, you have to know that the work is going to be supported. It just costs more money, to be really brutal about it. Making those kinds of parallel, Fritz Lang-like stories costs money. “We can can absolutely do that here in Ireland because we have no shortage of fabulously good storytellers. We’re famous throughout the world for the quality of our storytelling, the quality of our creativity, so I don’t think we have any problem in that area. Also we are lucky enough that we are English speakers – not exclusively, we are polyglots; we speak many languages including our own native language – but we speak English which is a huge thing in terms of film and television. And the market is opening up so rapidly. IFTN: Coming back to yourself then, you are very set on the kinds of stories you want to tell, but Marvel is a thing in and of itself. How did you get involved with the ‘Inhuman’ project? IFTN: You probably can’t say a word before it comes out but what what can you tell us about your sets and locations? “Hawaii is extraordinary. It’s a really beautiful place with untouched rainforests, incredible waterfalls, beautiful volcanic landscapes. It’s lush, luxurious and gorgeous. It was an extraordinary experience, to to film somewhere like that. “Of course I had to have can of DEET with me at all times! It’s eighteen degrees north of the equator and they don’t really have seasons, it’s equatorial. So it’s just warm and moist all year round and everything is alive. [laughs] I can’t tell you how often I got bitten. IFTN: I can imagine! 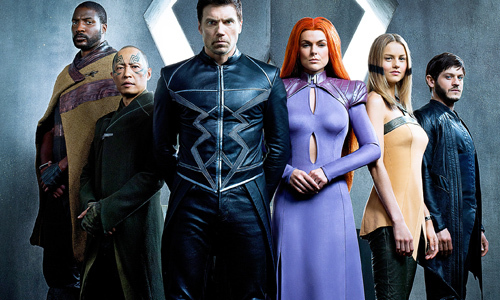 So when can we expect to see ‘Inhumans’ now that you’ve wrapped? IFTN: So what’s your next move then? Are you going to be working at home or abroad next? IFTN: Is that going to film internationally, do you think, or maybe in Ireland or the UK? IFTN: The novelty of travelling for work must wear off after a while? “To be really honest it’s fantastic to be working with really ambitious collaborators and ample budgets. I love the work. It’s more that I’d love to do that kind of work here in Ireland. IFTN: Absolutely. I’m not sure if you’ve been following the Irish news when you’ve been gone, but funding has been announced for the likes of Q1 by the IFB and there are some very exciting projects making their way to us in the next 12-18 months. IFTN: Your passion is so catching and you sound like you are completely and utterly enthralled with what you’re doing.